Guerlain is celebrating 30 years of their fabulous illuminating, and color-correcting Meteorites Pearls. To celebrate, they have introduced a special birthday edition of the famous Guerlain Meteorites Pearls for 2017. This special edition offers the same, well-loved Meteorites Pearls in a beautiful birthday package which looks so pretty on a vanity. 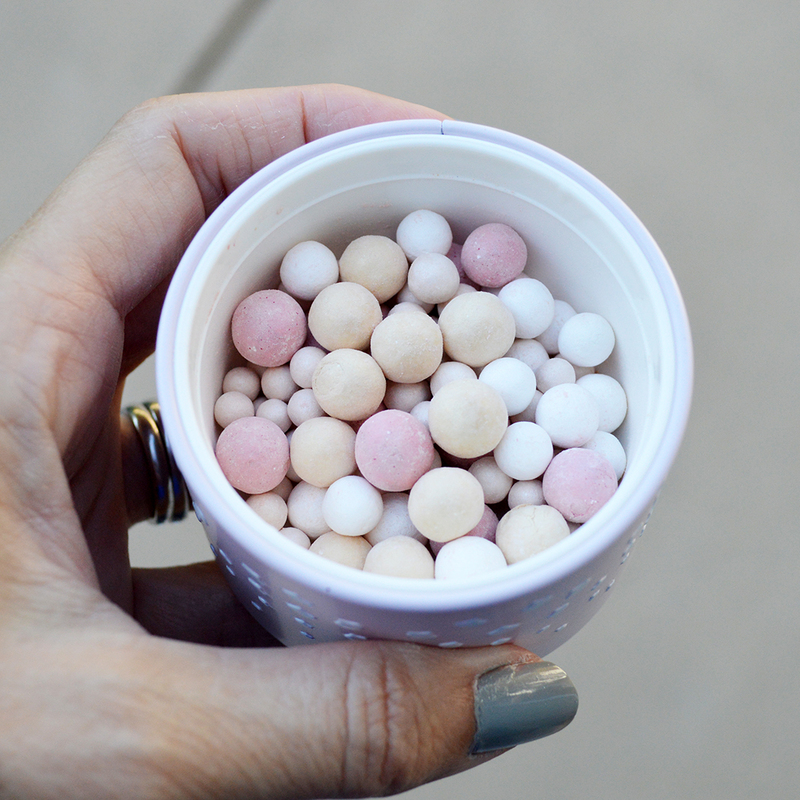 This special edition is named the “Guerlain Meteorites Birthday Candle Pearls.” Love! How pretty are these pearls!! I tend to prefer wearing powder alone, without foundation. I am prone to acne, so I only wear foundation for special occasions. My daily beauty routine consists of concealer over blemishes, blush, and powder. Although I have always admired Guerlain’s Meteorites Pearls from afar, I hadn’t tried them before. I was so thrilled to have the chance to try them out. I am hooked! 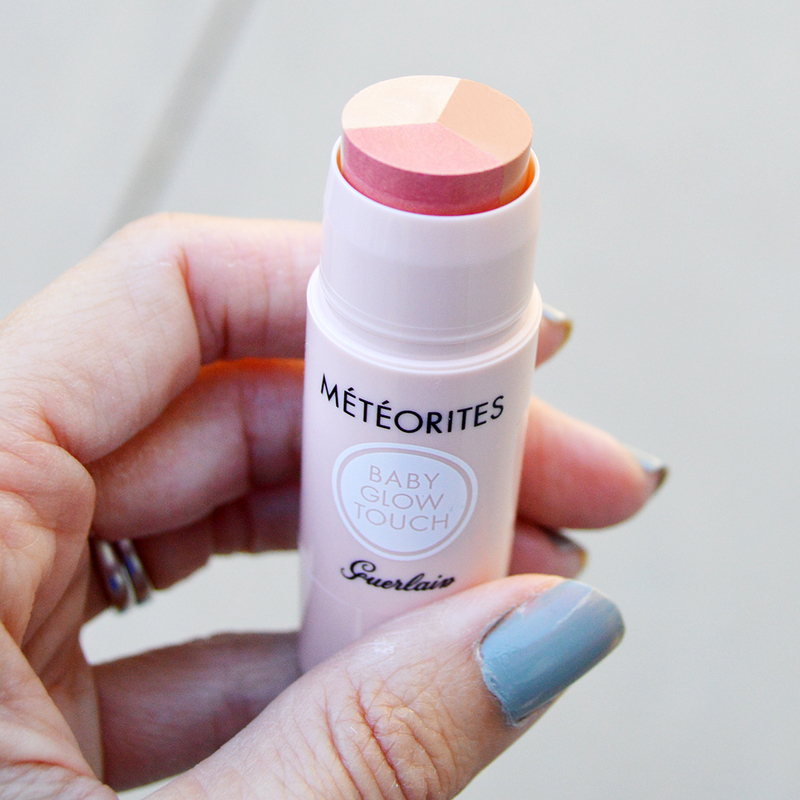 How cute is this on-to-go Meteorites Baby Glow stick? 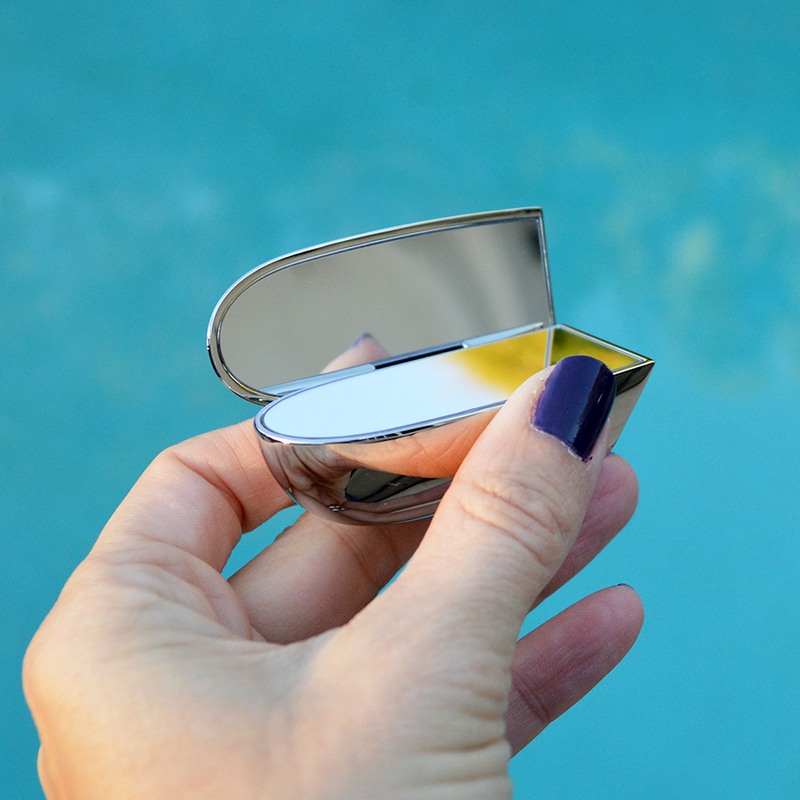 This is a great highlighter in a compact package which fits nicely into my purse for touch-ups during the day; or for travel. I don’t want to throw my pearls into my suitcase, so this stick is perfect to use in lieu of the pearls while traveling. Love! This whole collection is my new addiction. I highly recommend adding it to your routine! 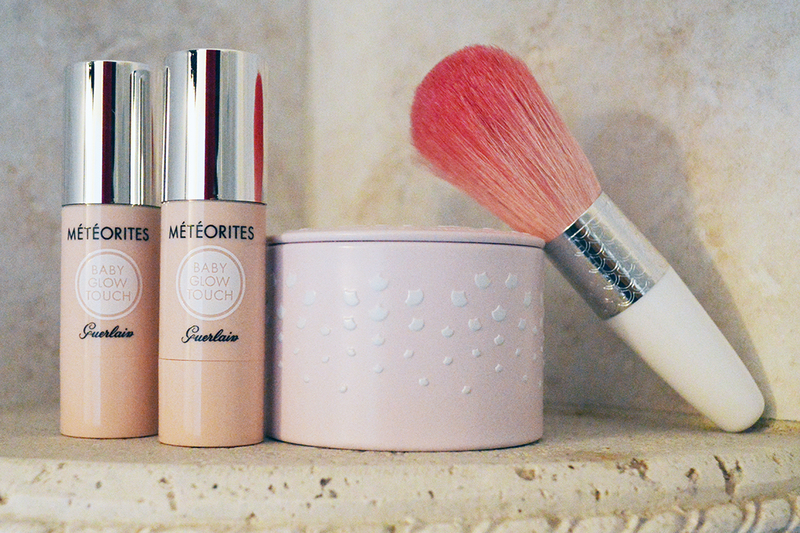 You can find the limited edition Guerlain Meteorites Pearls online here. 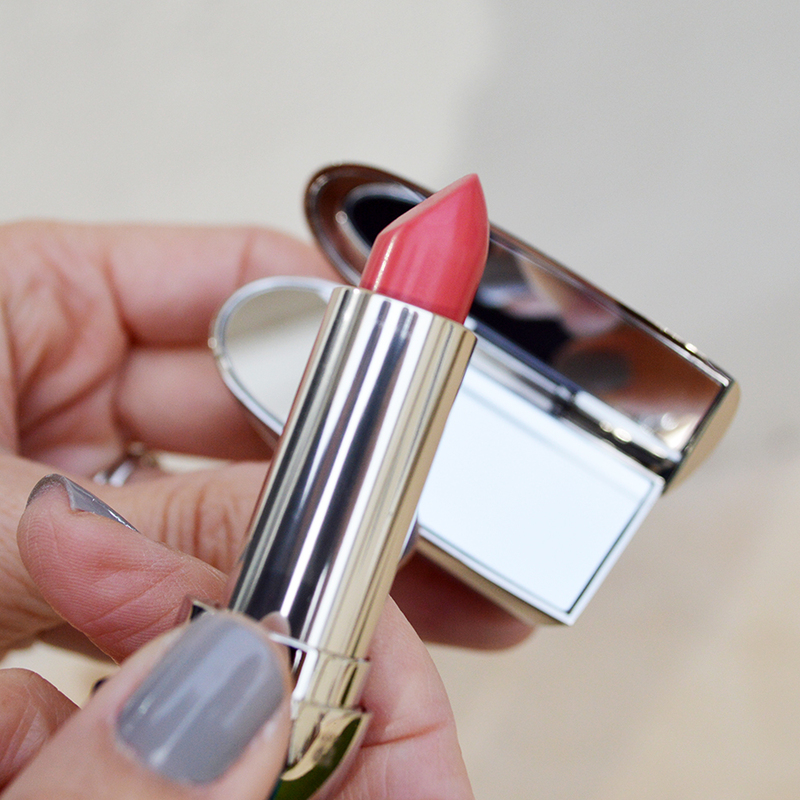 Guerlain Rouge lipstick is a lightweight, cream lipstick which includes it’s own compact mirror. 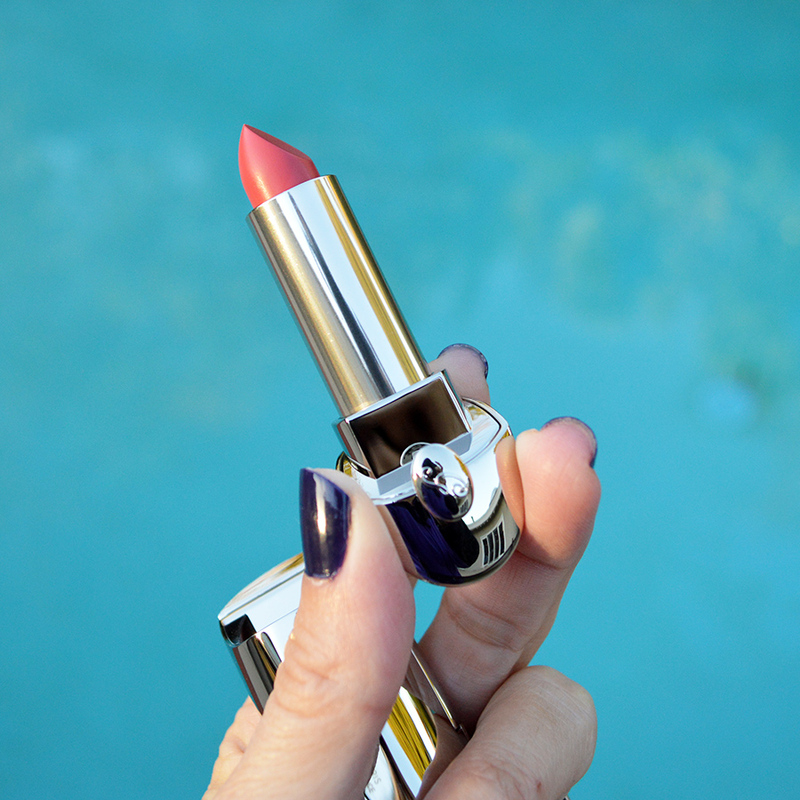 I love how this lipstick comes with it’s own mirror. It is quite handy when you have a small handbag or clutch, and need to save space. Love it! 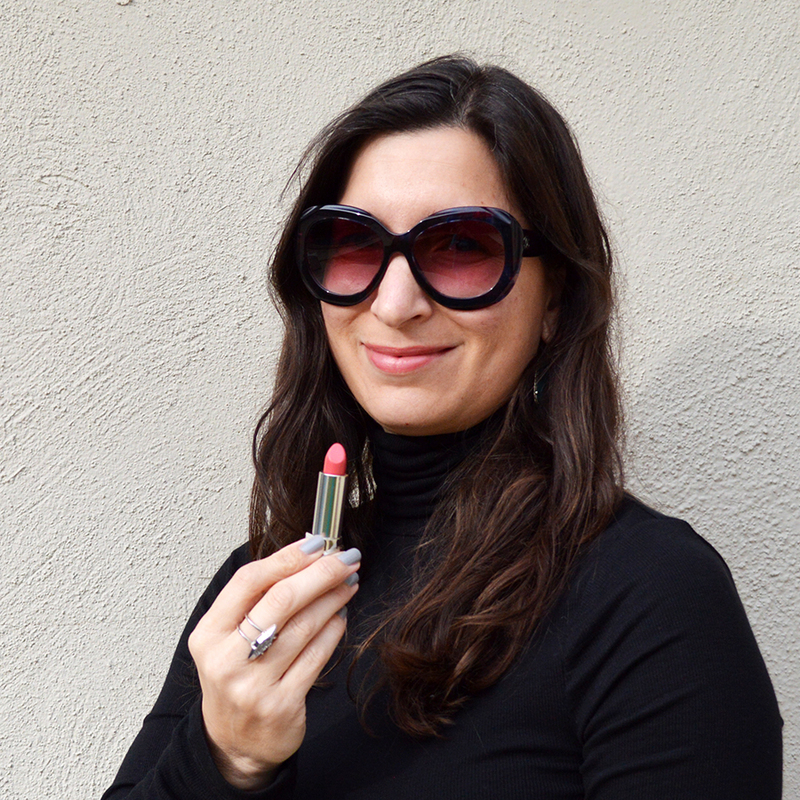 Normally I shy away from cream lipsticks, but sometimes an occasion, or an outfit, calls for more lip color then a sheer lipstick can provide. When looking for cream lipsticks, I always look for ones which do not run, smudge, cake, or add weight. My lips do not need to weight-lift during the day thank you very much. I chose Georgia 62 as a nice contrast for spring in my lipstick collection. Most of my lipsticks are either beige, golden, or vampy; which is in line with spring 2017’s lipstick trend. Sometimes I just want a classic color, and to eschew trends for certain moods or activities. This classic, pinkish coral hue is perfect for just that. The Guerlain Rouge collection of lipsticks is fabulous when I need a cream lipstick. This is my first Guerlain lipstick and I love it. I am looking forward to adding more to my collection in the future. You can find Guerlain Rouge Georgia 62 lipstick online here, and the entire Guerlain Rouge lipstick collection online here.